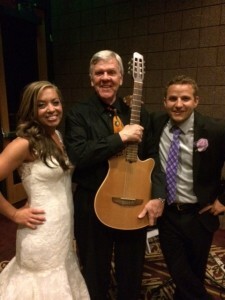 Acoustic fingerstyle guitar is Roger’s specialty. Roger plays both classical and acoustic fingerstyle guitar; there is a difference. Ask Roger what it is. If you really want a Spanish sound, ask for Flamenco. 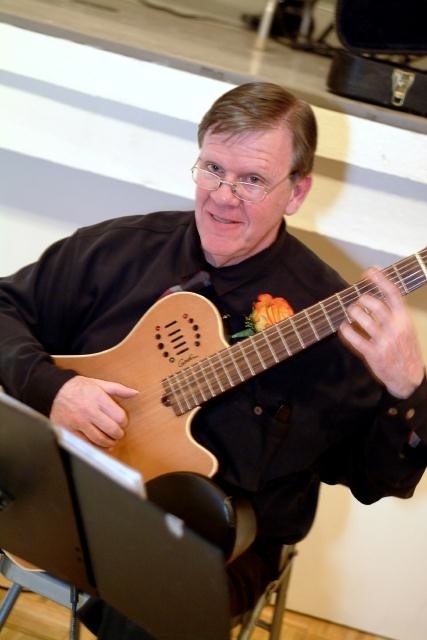 Roger plays many more of your favorite styles, such as fingerstyle jazz. 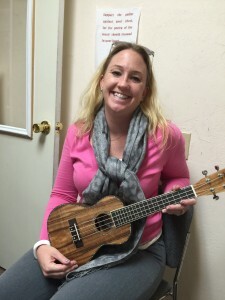 To see a song selection visit Music Styles page, or ask Roger about arranging your favorite song. 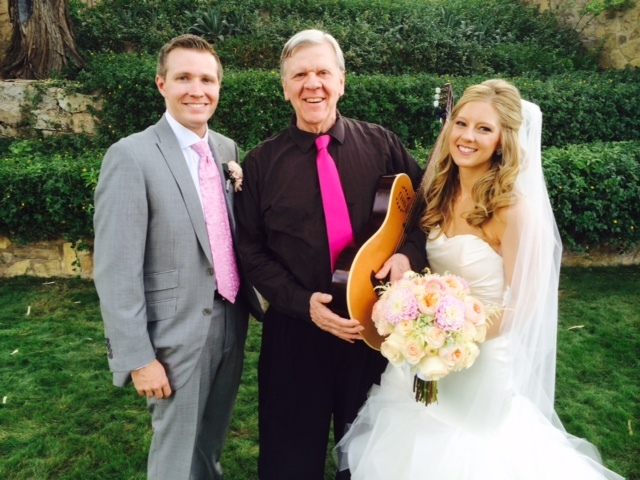 Roger plays for many special events such as Weddings, Corporate Functions, Dinner Music, Funerals, and many more. See a list on Occasions page. Check out the list of songs already mastered by Roger. Song List page. We wish we could rate Roger higher than a 5 on the feedback survey – he was phenomenal! 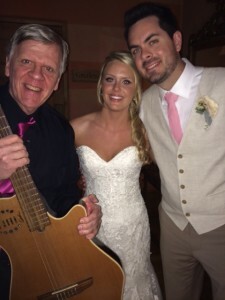 We couldn’t have asked for a more talented and professional guitarist to perform at our wedding. His music was beautiful! He was completely accommodating and was a trooper when we showed him the “hike” he had ahead of him to get to our wedding site at the base of Camelback Mountain. Roger was very pleasant to work with, and we would recommend him to anyone. 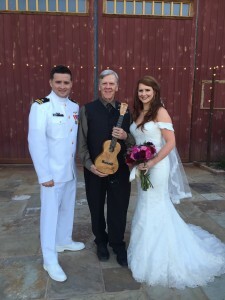 Thank you, Roger, for making our wedding ceremony extra special! 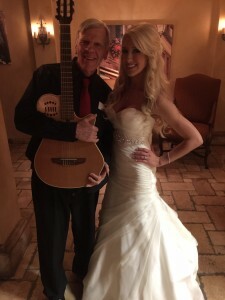 Roger Paull did an excellent job performing at my wedding. All my guests thought he was amazing! I would recommend him to everyone. He is very easy to work with!!! Thank yo so much for making our wedding perfect! 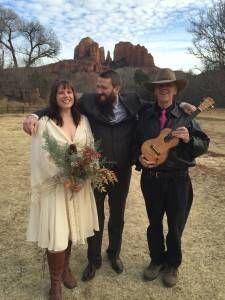 The song you learned for the sand ceremony was beautiful!!! Everyone at the cocktail hour was raving about the music! Roger was unbelievable. He is so professional and the music was outstanding. My mother actually made a toast to him at the reception. People were going up to him and telling him how he brought back great memories. I am telling you we would have paid twice the amount knowing how good he is. Roger paull did an excellent job and was everything we were looking for. We wanted some background, accoustical music for a client appreciation event that we held. It was dinner music and definitely provided the ambiance we were going for. The professionalism and friendly demeanor made it a pleasure to work with Roger. Thank you so much for your talent and good nature. Our expectations were exceeded. 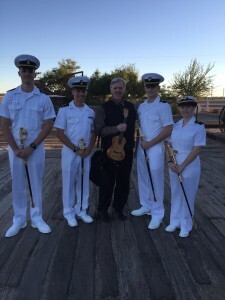 Roger Paul is a talented Classsical guitarist. He was FANTASTIC. Our party was intimate and Roger set the mood for an elegant affair, without being stuffy.Our guests enjoyed him thoroughly. He was personable and interacted with guests when they approached him. He was very accomodating to our needs and made the party extra special. Roger is an exceptionally talented classical musician. We would recommend Roger to everyone. Roger was fantastic! He arrived early, and was very helpful! He played beautiful classical guitar and more contemporary songs. It made our entire night feel right and I can’t count how many compliments he got throughout the night. Roger was professional and had good conversation with us and made the whole process a breeze. I would definitely hire him again and recommend others to hire him as well! Let me play at your event! “I will be honored to perform at your next special occasion. I love music. I love sharing it with people. 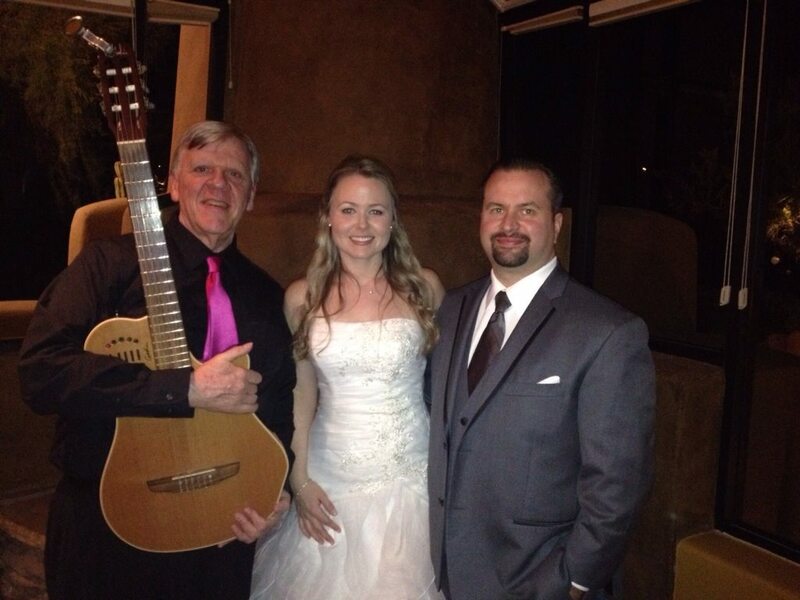 Let me tell you how I can make your event richer with elegant live music of a guitar. Let’s talk!